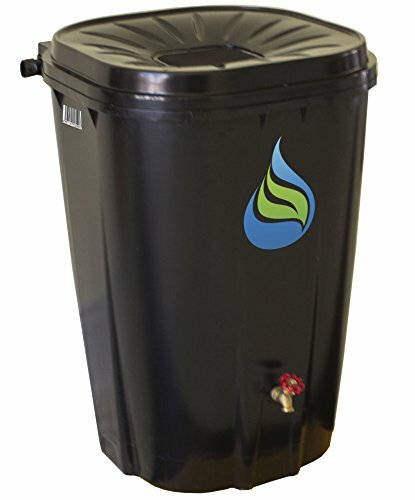 The free garden rain collection system is designed specifically with you the home owner in mind.Its sleek never aging look fits naturally into any location around the home.The flat back & square design allows it to fit flush to wall or corner installation.Injection molded & made from high density polyethylene makes it easy to keep clean & looking Brand new year after year.It comes Complete with a powder coated steel screen, all brass standard size spigot, Extension hose & child lock screws.The spigot is located to allow for easy access with any watering can eliminating any need for a base.The two sided overflow allows for multiple connecting containers from either side. Your garden & lawn will love your preserved precious warm natural rain water. If you have any questions about this product by Enviro World, contact us by completing and submitting the form below. If you are looking for a specif part number, please include it with your message.